Home Stories Columns Should Paddleboard Racers Embrace The 14-Footer? Are You On The 14-Footer Board Side? Or Not? Debate over which paddleboard length should be the race standard has boiled ever since the 14-foot and 12.5-foot lengths were rather arbitrarily cemented into place in the late 2000s. The argument may finally fizzle and die as some major events have announced men and women will be racing in a 14-foot-and-under category. Last fall the Quicksilver Waterman Carolina Cup, one of the biggest races on the global SUP calendar, announced its April Graveyard elite race would see men and women competing on a single class of 14-foot-and-under boards. This left the choice of paddling a 12.5-foot versus 14-foot board up to individual racers, but meant the longer, and therefore faster, 14-footers were the new de facto standard. It also meant elite women will no longer be forced to race on slower 12.5-foot boards. The 14-and-under class is an experiment for the Graveyard at the request of top women paddlers. What we are told is women are tired of racing on slower boards than the ones men are paddling,” said Carolina Cup race director John Beausang prior to the race. “This is more inclusive and will be healthy for the sport. Beausang’s bold move seems to have tipped the scales. 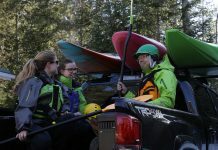 In January 2018, the Gorge Paddle Challenge announced the same decision for its August race. 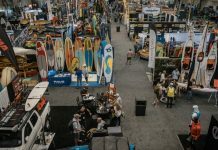 And the International Surfing Association, which is vying with the International Canoe Federation to become paddleboarding’s Olympic governing body, quickly followed with an announcement it will adopt the 14-foot standard starting January 2019. The 10-race EuroTour is already racing with these new standards. Whether it was based on which board lengths were dominant at the time, airline travel restrictions, favoritism toward a particular brand’s offerings, or some other arbitrary measure, early trendsetting races like the 2008 Battle of the Paddle in California set rules still in place today. In North America, men tended to race 14-foot boards and the 12.5-foot boards have become largely a women’s class, although crossover between genders on both boards and varying practices in other countries adds to the confusion. A decade ago, industry pundits warned two standard board lengths could be bad for the sport. With no authoritative governing body, race organizers were left to come up with their own rules and, in an effort to please everybody, struggled to manage dozens of divisions: 14-foot and 12.5-foot; recreational and elite; men, women and juniors of all ages. “I think having two different but fairly similar board classes is not only totally pointless but actually quite harmful to the sport. 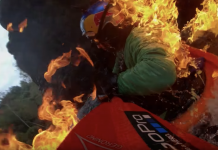 It creates fragmentation, frustration and confusion for athletes, event organizers, designers, brands, manufacturers, distributors, retailers and consumers—or in other words, everyone,” writes Christopher Parker, expert paddler and founder of SUP Racer. I think it’d be easier if we all just agreed to have anything up to 14 feet as the universal standard. Then it would be rainbows and unicorns, and we could finally move on to discussing more important topics. Back in 2013, former Olympic canoeist Jim Terrell of Quickblade Paddles passionately argued both board lengths should be completely scrapped in favor of a four-meter (13’1”) stock class. 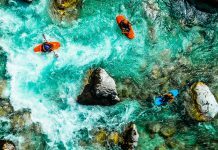 He also proposed width, weight and deck height requirements to prevent the sport from becoming “an expensive balancing contest,” where elite paddlers are on boards so lightweight and tippy no average paddler can afford one, let alone stand up on it. Unsurprisingly, his proposal never gained traction—it would have rendered every existing race SUP on the planet obsolete—but the debate raged on and those early warnings seem to have come true. 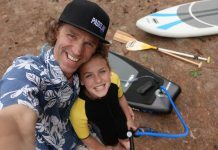 With rare exception, SUP racing events around the country are shrinking,” paddlemaker Bill Babcock wrote in an online editorial last fall. 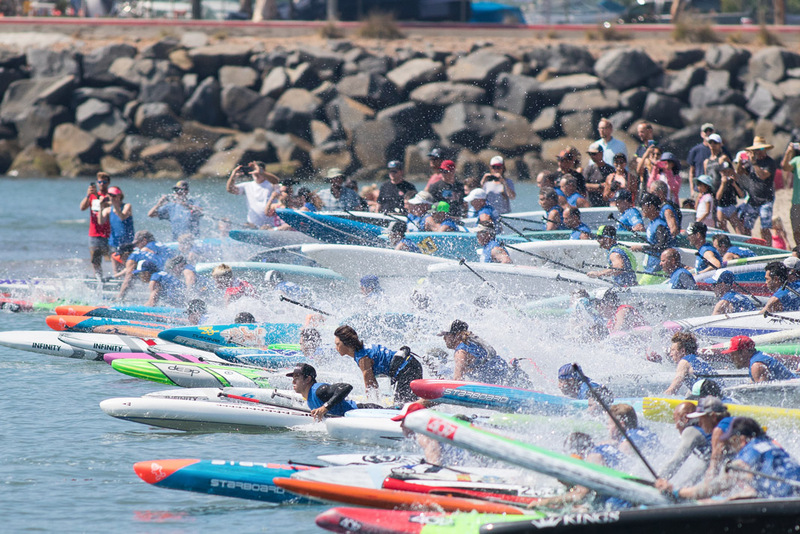 “The decline in SUP racing looks precipitous. Beausang’s decision was motivated by the same realization. Of course, the 12.5-foot class will still have its place. Since the race class is 14-and-under, people can still race 12.5-foot boards if they prefer, or as conditions warrant. It feels like we may finally have a broad consensus on the path forward,” Parker writes, “and this can only be a good thing for the sport. Tim Shuff is a firefighter by day, freelance writer by night and competitive paddleboarder on the weekend.